Unseen Films: The "Tribeca starts this week" post....plus my list of titles you really should see. 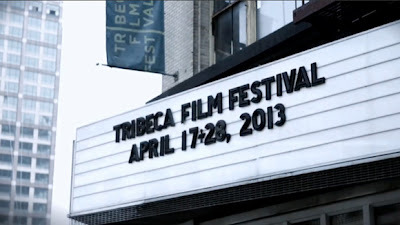 The "Tribeca starts this week" post....plus my list of titles you really should see. As things are shaping up it looks like we will be providing reports on over 65 of the 89 features screening at the festival, plus interviews and red carpets. Yes I know that is madness. No rational person or outlet is doing that. Most outlets that I know of are only providing a much smaller number of reports. Anyone I know who is covering the festival is writing up a set number of films and no more. They are covering the films that they feel are important and letting the rest fall away. I can’t do that and remain faithful to the mission statement of Unseen Films. The mission statement is to highlight good films you may not have heard of before. The addendum, that has evolved over the years, is that as far as film festivals are concerned, we’re tasked with reporting on as many films as possible-good bad or indifferent. The idea is that I want Unseen to become a kind of permanent forum for the films that no one else may have seen. It’s all well and good to have a festival website saying that a film played, but what people frequently want is to know if a movie is good, bad or indifferent. I’m hoping to provide a little bit of that by covering things beyond the big name films (for example you will get a ton of reviews for Before Midnight or Big Bad Wolves at other outlets, but will there be a lot of coverage of The Rocket or some of the other titles?). As always I’m not going to say my word is the right one (hell I’m taking flack for my feelings toward a couple of films) but if you read enough of the stuff at Unseen you may be able to gauge if a film is something you’ll want to see. As this posts I should be on the train home from the last of the pre-festival press screenings for Tribeca. This means that I’ll have seen 29 of the 40 feature films they ran pre-festival. If all goes as planned by the time it ends in just over two weeks we’ll have seen and reported on almost all of them (give or take a hand full). I’m not sure how our coverage is going to go, but officially we’re starting with the reviews on Monday and reviews will continue until May3rd because we’ll be watching films until the last day. While I know that we actually have more people going to the festival, the amount of time anyone can spend at the festival is much more limited so I don’t know how that will play out or when things will appear. Unofficially I’m throwing up a review tomorrow night of a small film that is not the best of the fest but it’s a damn fine one and worth making the effort to see it. It’s something I’m afraid is going to get lost in the wave of all the other films. The title is The Rocket and I’ll explain more tomorrow. All I'll say now is it's a special little film. Mondocurry, John, Bully and myself will be running reviews and other stuff here. Mondo may also post some stuff at his Violent Eye Report if he runs across anything that he feels is appropriate. Mr C and Chocko are going to be largely directing their coverage over at Planet Chocko but a carefully placed headlock may get things cross posted. Peter is wading in with reports of at Twitch. If you haven’t followed any of us on Twitter you should do so. There will be short reports from the road all during the festival. Just click on the new Unseen Twitter links in the sidebar. You should also follow the Unseen Tumblr account which is in the sidebar as well. Byzantium-Neil Jordan’s rethink of the vampire genre is one unexpectedly great and and as I say in my review it's the film that Interview With a Vampire should have been. Before Midnight- Forget that’s the third in a series, I haven’t seen the first film and it’s simply a great drama and probably one of the best films of the year. V/H/S 2 funnier than scary, it’s a very bloody video tape of fun of four stories linked by a missing persons story. Bending Steel - A great portrait of a man who wants to become a strongman. It's not really about bending metal, but about changing ourselves for the better. Everyone I know who has seen this has loved it and the way it sneaks up on you to become something special. Magical. Before Snowfall- Epic story about a young man sent to kill his sister because she ran out on an arranged marriage. Its a story that isn't what you think it is and is much more moving as a result. Neither Peter nor myself expected what we experienced and neither will you. It could be argued it's one of the best films of the year. Red Obsession is simply put about French wine and the Chinese. In actuality it is so much more than that saying it's about wine is selling it way short. I need a full review to kind of do the film justice so trust me and just see this . Not only is it one of the best films at Tribeca, it's one of my favorite films I've seen this year. For now that's it. To buy tickets click on the Tribeca link in the sidebar. Take my advice and go see something. As for me I have reviews to finish and to firm up plans to see another 36 or so feature films in about 11 days. Keep reading because there is a lot of stuff coming your way. Glad to see Before Midnight gets your approval...that's one of the movies I definitely want to check out.